Spring is around the corner.. this means it's time to introduce some color into your home! 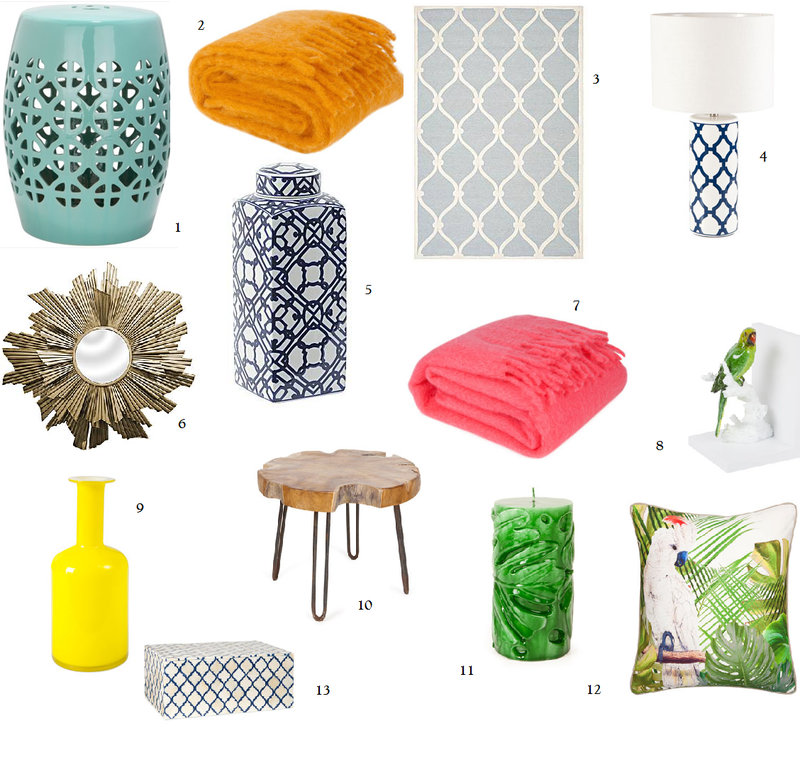 I've gathered some of my favorite pieces that are high on my wishlist! It's all about color & patterns . Seeing colorful items in my home gives me energy and makes me happy.